It’s a fact: Digital manufacturing is having an immediate and lasting impact on supply chains by streamlining traditional production methods. That’s good news for procurement managers, given that supplier-related issues are among the top challenges procurement managers face on a regular basis. Digital contract manufacturers bring technology, automation, and speed to the table, creating a supply chain that is more resilient and responsive to risks and opportunities than conventional approaches. In fact, many companies have moved in this direction. A recent study shows that a third of more than 2,000 industrial companies have digitized their supply chains, with nearly three-quarters expected to move in this direction by 2020. Several industries pursuing digital suppliers include medtech/medical device, automotive, lighting, electronics, and aerospace. Streamlining the supply chain starts with procuring parts on demand, without minimum order quantities (MOQs). Manufacturing on demand helps companies manage market volatility, so they’re not tied to massive production forecasts. When demand spikes, they can get parts quickly, avoiding the risk of lost sales opportunities because of stock outages or long lead times. Along these lines, on-demand sourcing also lowers overall inventory cost and warehousing expenses for companies. Finding a contract manufacturer that can incorporate this on-demand capability into a company’s supply chain, allows that company to create a supply chain that is truly driven by customer demand, not by (and dependent on) a supplier’s lead time. Ultimately, this approach can have a noticeable impact on bottom lines and ROI. And speaking of cost savings, you don’t necessarily have to significantly increase volume and invest in steel tooling to shrink piece-part price. Instead, find a digital supplier that can provide different manufacturing levels: For example, prototype tooling for prototyping parts, and low-volume tooling for low- to mid-volume part quantities. These more tailored options help keep piece-part prices intact, especially when total cost of ownership is considered. Digital manufacturers also help reduce part costs by automating the non-recurring engineering during quoting, tooling design, and machine cutting algorithms. Less manual engineering time invested in pre-manufacturing work saves both time and money. Bridge tooling is yet another way to save costs. For instance, once a developer has finalized a product’s design, there’s often a gap between the end of product development and large-scale production. Leveraging rapid injection molding with cost-effective, aluminum tooling can help get to revenue more quickly while waiting for the full-production manufacturer to finalize steel tooling. This can be especially helpful when companies need a competitive advantage in time to market, when they need to quickly react to surprise part orders, and when they need to be agile in line-down situations. Digital manufacturers also help deliver mass customization, a growing trend that is driving companies to tailor products to individual customer needs, as more consumers seek customization and personalization when purchasing products. 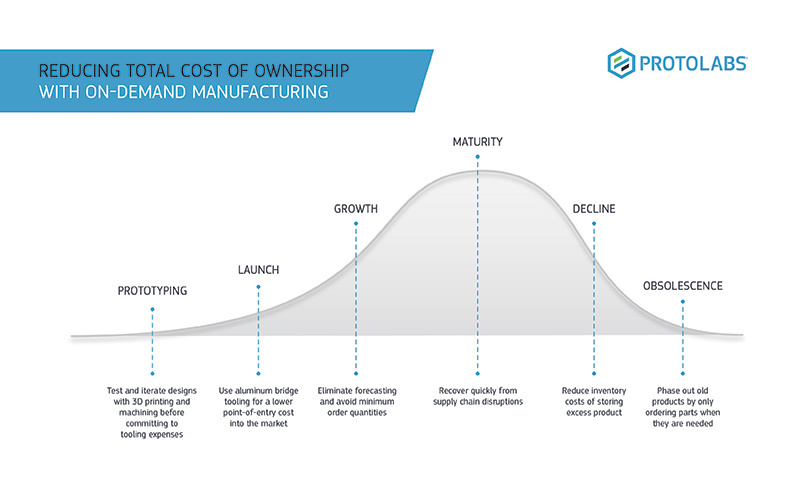 Digital manufacturing suppliers enable companies to produce the low-volume/high-mix ratio of products needed to meet the demands of this growing customer desire for customized goods. Finally, in product development, a digital, automated approach reduces time to market. 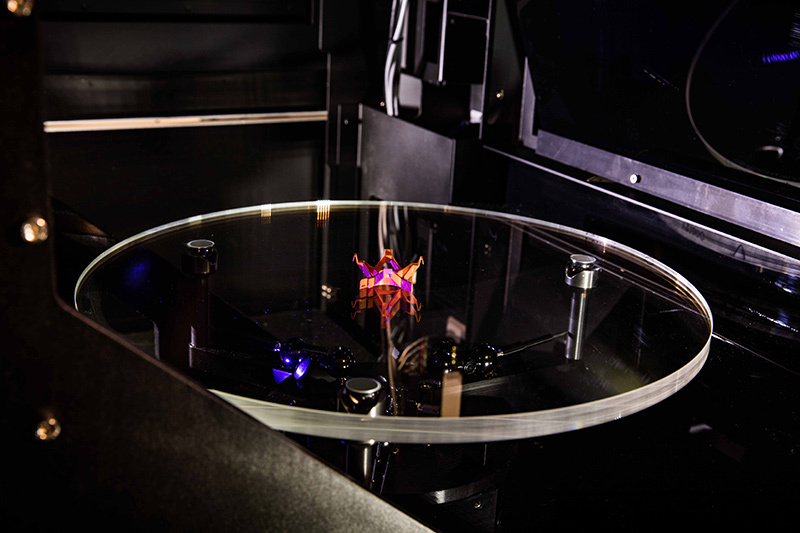 Digital processes and rapid manufacturing produce high-quality, complex parts and products in less time, without the traditional handoffs and delays between disciplines. Digital manufacturers are those that can offer an agile response. Under a fully digitized process, accurate price quotes can be provided in hours, if not instantly, and the manufacturing can be completed often in a matter of days, sometimes even the same day. The automation of the upfront design analysis, the real-time cost quoting, the networked toolpathing, and other automated manufacturing technology, allows digital contract suppliers to be much faster than traditional manufacturing providers. Ultimately, it’s all about technology and automation driving digital manufacturers, which results in cost-effective, fast, flexible production for a company’s supply chain—and maybe most important, make life exponentially easier for procurement managers. Kevin Ashton is the Direct of Quality at Protolabs, an on-demand digital manufacturer.